Controlled climate are experienced at installing cooling and air conditioning systems in IT Server rooms across Bath, Bristol and the South West. Server Rooms require good ventilation, in a cool environment, failure to do this can lead to your servers over heating, which could crash your system and damage expensive equipment. At Controlled Climate we ensure that the server, and the room it inhabits are in a breathable state, and the heat is controlled in a central location, ensuring your servers are running in an efficient cool room. 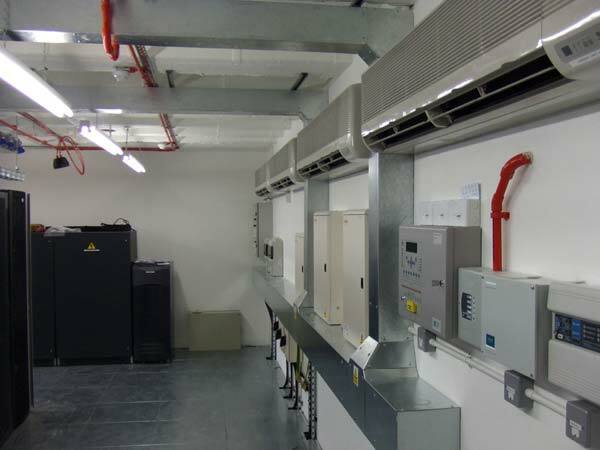 To do this we will evaluate the equipment, room size, and environment and advise which type of air conditioning system is required, each server or data room will be a bespoke, tailor made design solution. All of our server room cooling solutions are energy efficient, centrally managed, and stable with the upmost reliability, allowing you to save money, easily manage and rest assured that you business suffers no down time. With over 20 years experience of designing and installing air conditioning for data and server rooms in Bath and Bristol, Controlled Climate offer a bespoke, professional and efficient solution to all of your business needs. For a free site visit to discuss your needs, please contact us today, our helpful, experienced and certified server room air conditioning technician will help and advise you on the best solution for you, and your business.